Anthony is a farmer from Carrigtwohill. He is married to Mary, with whom he has two children, Liam and Eilis. 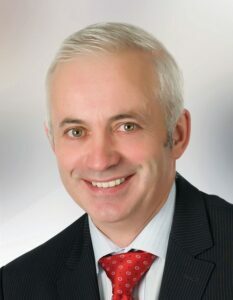 Anthony has been a member of Fine Gael for more than 20 years, with many of these years spent as Chairman of the local branch in Carrrigtwohill. Since joining Fine Gael, he has been a very active member, especially in canvassing for candidates in local and general elections and in particular in the successful election campaigns of David Stanton TD on five occasions. In addition to his contribution to national and local politics, Anthony has a passion for community development. He has been very active in Carrigtwohill Community Council for more than two decades serving as its Chairperson from 2005 to 2009. As a farmer, Anthony is keenly aware of the importance of the agricultural industry to Ireland.